Balewadi has placed itself as one of the most affordable locales, as compared to other major suburbs, in Pune. Superior infrastructure and its proximity to IT parks are primary reasons for its popularity among homebuyers. Another developing suburb of Pune, Balewadi, has emerged as one of the most prominent real estate localities on the back of improved infrastructure, proximity to commercial complexes and spill-over demand for residential properties from adjacent micro-markets such as Pimpri Chinchwad, Hinjewadi, Baner and Aundh. With its proximity to the Hinjewadi Rajiv Gandhi Infotech Park, Balewadi has gained tremendous demand amongst the tenant community. Extensive bus services and superior rail connectivity coupled with various affordable housing options make it the most suitable area for migrants and corporate professionals. Balewadi's rapid infrastructure development has been considered as the key growth propeller for residential and commercial units. With availability of ample affordable rental properties, as compared to other neighbouring locations, Balewadi has allured a large share of rental home seekers, QoQ. In the recent past, the suburb has turned out to be a primary choice for renting a house by many IT/ITeS professionals. Average rental rates in the locality were pegged at Rs 16 per sq ft in the quarter ending March 2018. Situated along the National Highway 4, Balewadi offers ample choices of spacious residences in every price bracket. Average property prices here range between Rs 5,738 and Rs 6,290 per sq ft. Several affordable residential projects have been launched in the locality recently. Among all housing options available, 2BHK and 3BHK units are the most preferred among homebuyers, informs Laxmikant Parekar, a city-based real estate broker. All civic development works are in place. The announcement of multiple infrastructure projects is anticipated to induce fast-paced growth in the coming years. Below are some of the most affordable RERA approved housing projects in Balewadi. On the back of seamless connectivity via strategic road network, the suburb offers hassle-free intra and inter-city travel. Plethora of esteemed hospitals, recognised schools, shopping complexes and rehabilitation centers multiplies the livability index of the locale. The Pune Smart City Development Corporation Ltd (PSCDCL) has planned to develop a transit hub at Balewadi, comprising of a metro rail station, a bus rapid transit system (BRTS) for both inter and intra city services. The transit hub will be developed on an 11-acre land through a public-private partnership (PPP) model, along the Mumbai-Pune Expressway. The development of the hub will ease traffic congestion on city roads, reducing to and fro travel time by huge margins. Considering the mounting popularity among buyers and current price trends, Balewadi holds a healthy investment potential. Average ‘ask’ rates in Balewadi registered a growth of about two percent in Q1 2018, QoQ. The rental rates, too, have multiplied over the years. 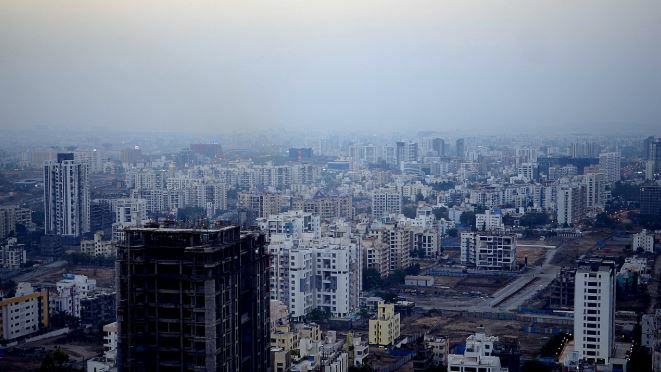 Parekar opines, planned infrastructure projects and upcoming affordable housing projects under Pradhan Mantri Awas Yojana (PMAY) would result in average capital prices to grow by 5-10 percent in quarters to come. A similar upward trend is expected in the rental market as well.